An exciting day awaits for the Indian contingent at the Youth Olympics 2018 as they are in the race for two gold medals. First up will be badminton star Lakshya Sen, who is from the Prakash Padukone Badminton Academy and was the number one ranked junior player in the BWF Junior Rankings last year. Much will be expected from him after his strong showing in the semi-finals, where he held his nerve to defeat his Japanese opponent after being a game down. Manu Bhaker too will hope to conclude her campaign with a second gold medal. She is in the quarter-finals of the Mixed International Team Event, and, with the Gold Medal match scheduled on Friday, the youngster would be eager to end with yet another medal, to make it a hugely successful event for the Indian shooting contingent. Here is the full schedule for India on Day 6. Mixed International Team Ranking Round - Akash and Himani with their respective partners after their individual events. 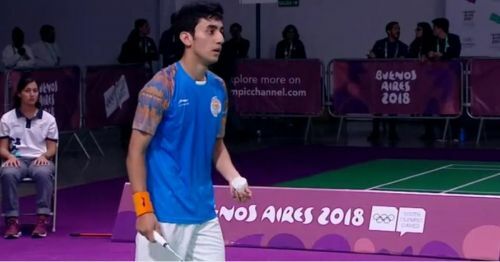 Men's Singles Gold Medal Match - Lakshya Sen against China's Shifeng Li at 00:00 IST (13th October). Men's 200 meter Backstroke Heat 1 - Srihari Nataraj at 6:30pm IST.